The name of Plalloy MTD B.V. stands for PLastic ALLOY Mitsui To Dainichiseika. Mitsui and Dainichiseika are the shareholders of the company. The company owns a site with a production hall, laboratory for inspection and testing our products, production co-ordination(planning), logistics, maintenance and office. The main business is custom compounding and colouring of various plastics(bulk material); main markets being served are the automotive, packaging, consumer electronics, construction , household appliances/several. 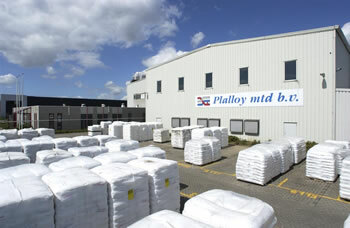 Plalloy MTD B.V. is established in 1989 in Kerkrade, province of Limburg in the Netherlands. Plalloy's corporate strategy is to provide customers with quality products and services that present the best use of our excellent facilities, compounding and colouring technology and human resources.